April 17, 2010 Bass Champs - Lake Ray Roberts Congrats to Jake Roane and Bob Grady for winning Bass Champs on Lake Ray Roberts and winning $20,000 + $200 sure life bonus against 200 other teams. They had 26.22 lbs and a 7.22 kicker fish. 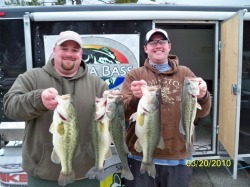 March 20, 2010 Media Bass - Lake Lewisville Congrats to Jay Davis and Jared Wasser for winning Media Bass on Lake Lewisville and winning $1600. 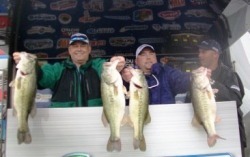 They caught 20.63 lbs on a very tough day out on Lewisville.